"Look fashionable and fabulous at any age. 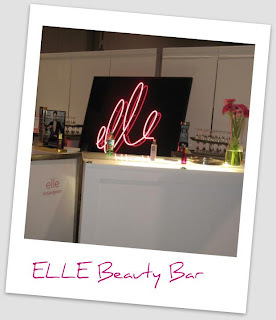 Discover your ELLE spirit!" 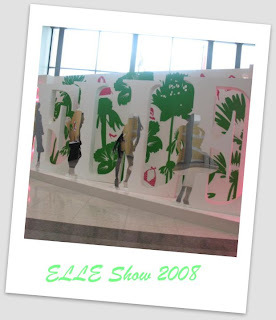 As promised, here are the pictures from the 2008 ELLE Show my friend and I went to last weekend in Toronto at the Direct Energy Centre. They had everything from a fashion show featuring all the hottest trends, fashion consultations, a "booby wall" to bring awareness to breast cancer, lots of fabulous and unique clothing and jewellery (including one of my favourite brands, Pick Up Sticks Jewellery Company), prizes and giveaways, as well as guest speakers including Lynn Spence from CityTV. 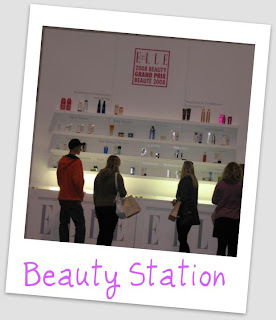 Unfortunately, we missed Ms. Spence and the fashion show, but we had a blast visiting all the vendors and the "beauty bar"! The t-shirt I bought for mum! A recycled carpet and pop bottle flower! 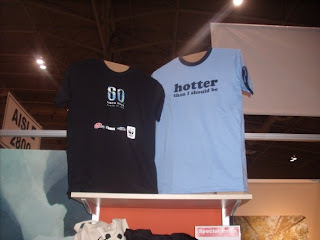 This past weekend, a friend and I decided to spend Saturday in Toronto at both the Green Living Show and the Elle Show. 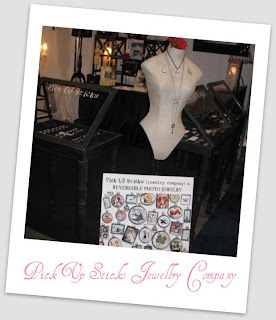 Since we aspire to be both environmentally conscious fashionistas, it was the perfect place to be! Held at the Direct Energy Centre, the Green Living Show had everything from Hybrid cars and eco kitchens to eco cleaning products and an organic marketplace featuring vegan food! The free samples were endless and included organic cleaning products, pencils made from recycled currency, pamphlets on how to go green (and its benefits) - printed only on FSC approved paper, of course and lots more...but the real highlight of the day was a lecture by former president Bill Clinton on going green and an eco-chic fashion show featuring organic and hemp clothing. It literally took us 3 hours to do a loop of the building and visit each and every one of the fabulous vendors. I ended up buying a few hemp grocery bags, some environmentally-friendly cleaning products and I couldn't resist picking up an organic t-shirt made in Canada printed with the words "Hotter than I should be" written across the front in eco-friendly ink for mum! 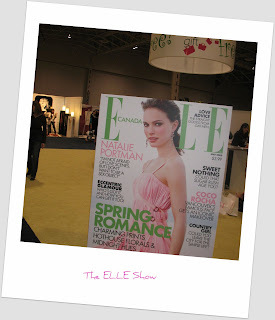 Tomorrow, I will post all the pictures from our adventures at the ELLE show! 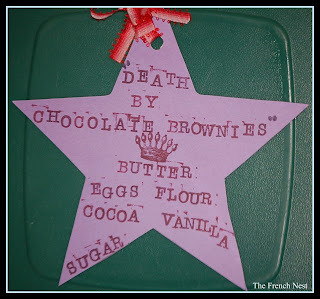 We had our monthly potluck lunch at work today and I decided to make my "Death by Chocolate" Brownies. 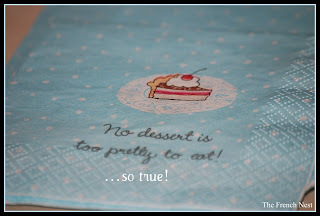 I picked up these fabulous "No dessert is too pretty to eat" napkins, and made a little tag listing all the ingredients to make the Tupperware look a little prettier. 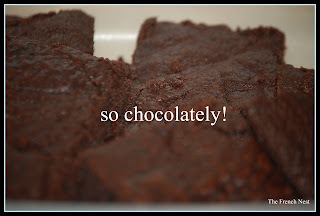 If I need a quick chocolate fix I always make a batch of these brownies - they're delicious and dense - the best brownie mix ever - and when they're dusted with cocoa powder, it makes these little chocolately darlings even more sweet! My recipe makes 24 brownies and only takes 20 minutes! Preheat the over to 350 degrees F. Grease a 9 x 13 inch baking pan. Line the bottom of the pan with parchment paper (this will make it easier to remove the brownies once they've cooled). Sift together flour, cocoa and baking powder in a bowl. Mix in pecans (or chocolate chips!). In another bowl, beat the sugar and butter until well combined. Mix in the eggs one at a time. Mix in the vanilla. Add the dry ingredients to the wet until just combined. Spoon and spread into the pan. 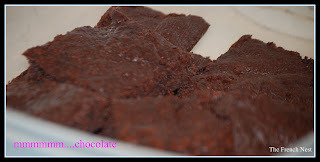 Bake for 18-20 minutes or until a toothpick inserted into the centre of the brownies pulls out clean. Cool on a baking rack. Once cool, dust the top of the brownies lightly with sifted cocoa powder. 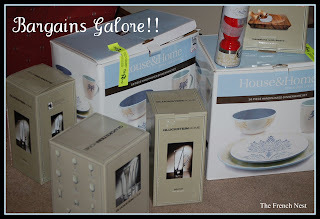 Garage Sale Finds and Other Bargains! So, you could say this past weekend was quite successful! On my way to work this morning, I stumbled (literally) over a small parcel I had ordered from The French General last month! 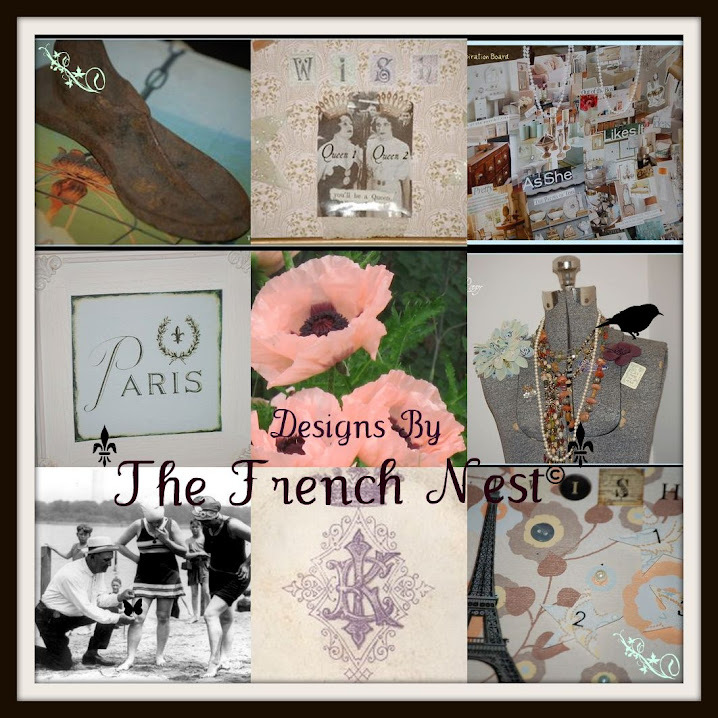 I am always on the website looking through all of the fabulous French products, and decided to place a few orders. They were supposed to be gifts for mum for Mother's Day, but since I am the worst person at keeping surprises I caved and ended up giving her one of the gifts. 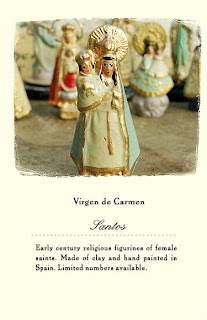 I gave her the Virgen de Carmen santos, patron saint of mariners and fishermen. It was once believed that the Virgin cleared up the waters with her presence and that only after July 16 would the sea be fit for swimming in. Honestly, I'm terrible at keeping surprises...there have literally been Christmases where I will have to go out on Christmas Eve and re-shop, because I have given everyone (and I do mean, everyone) their Christmas gifts. It doesn't matter how early or how late in the game I start to shop, it happens every time. I just can't help myself! Mum has always mentioned that she would love a vintage-looking religious figure or a "Santos" (Spanish religious figure). So, when I was on the French General website and found one, I HAD to order it. I also picked out something from the jewellery section, so hopefully, I'll be able to keep that one under wraps until May...only a few more weeks. But, I promise, if I end up caving and end up giving it to her oh, say, tomorrow (which I'm sure I will) I will post it because I think you will all fall in love with it. 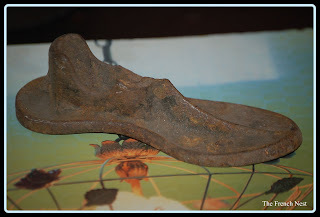 Here is the antique baby shoe mold I found on my travels this past weekend...isn't it adorable? The antique store itself was bursting at the seams with gorgeous remnants from the past - I was like a kid in a candy store! 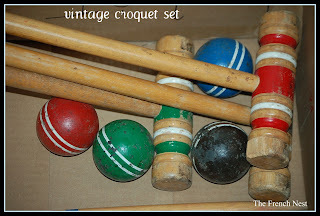 Antique patio furniture (I fell in love with a small white bistro table and two chairs the colour of cotton candy, from the '50s), books and TIME magazines (the homemaker ads from the '20s-'60s make me laugh out loud...very Anne Taintor! ), jewellery, china, glass....you name it, they had it. I also wanted a beautiful venetian tray, but unfortunately it had a very large crack through the glass...I was heartbroken to have to turn away from it. So, of course, when I came across the baby shoe mold, I just HAD to have it. It will make the perfect paper weight, especially during those breezy summer days when mum and I hull the craft supplies outside and create on the patio! 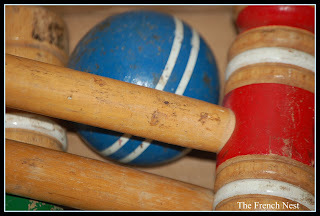 My French Find...and What a Bargain! Since the weather was absolutely gorgeous yesterday, we decided to go on a little weekend getaway...not too far from home, but far enough from the city that we ventured to a quaint, diamond-in-the-rough town filled with fabulous treasures! We passed general stores (my favourite - I love places where you can shop for it all - groceries, clothing, souvenirs, and gifts for friends back home), small boutiques, antique stores and the biggest bookstore I have ever seen! That was our first stop, and I have never seen such a collection of books! They had everything, including a children's section, cookbooks for the sous chef, hobby/art books for the craft connoisseur, maps for the traveller...we're talking EVERYTHING. I picked up two of Rachel Ashwell's Shabby Chic books, which I am sure will give me a ton of inspiration for my new place. Mum picked up a few home decorating books as well, which I'm sure she'll post tomorrow for you to see! 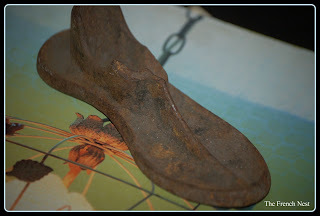 Our next stop was a vintage shop - I found the cutest little metal shoe shape which I'll post tomorrow - it would make the cutest door stop, paper weight or business card holder! Lastly, we stopped off at a gorgeous Shabby Chic store filled with everything French and chic - oh la la! I fell in love with a set of French china but, alas, to much for this "French" girl! I did, however, find a vintage looking clock for a bargain...only $19.99!! 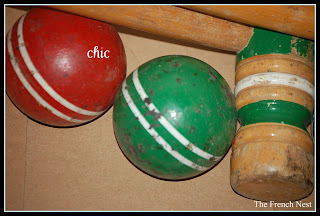 I hope you all had a fabulously chic, fun-filled weekend...now, I am off to flip through by Shabby Chic books! Wow! I can't believe it has almost been a month since my last post, and so much has happened since then! I have some very exciting news to share...I found out early last month that I will be returning to school in the fall to pursue my career in academia! I am very excited, although it will require a move away from my hometown so of course I will really miss all of my friends and family, but it is a move I am really looking forward to. The city I'm moving to is absolutely gorgeous - lots of wonderful little boutiques and shops, so I will still be able to create and shop, hopefully snagging some fun, vintage items along the way to share with all of you! Speaking of snagging deals, I picked up a gorgeous vintage-looking chandelier at my all-time favourite store HomeSense; a store that, lately, I've been spending a lot of time at picking up all of the essentials before the move...linens, area rugs, kitchen/home accessories...and it's the best store to visit if you basically need anything and everything for your home, because it has a huge selection, things are always changing, and the prices are unmatched. And the great news - it was only $29.99! I also picked up some vanilla-scented candles that fit perfectly in the chandelier itself, and I envision it over the bathtub. 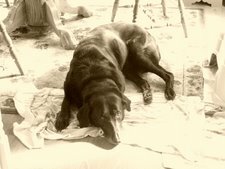 I'm going with a white, shabby-chic theme for the rooms and with garage sales having already begun here, I am already anticipating Saturday mornings! I've also begun my Mother's Day shopping early this year. There's something about shopping for women - it's just too easy! My mum and I are so close that we know exactly what the other would want for a special occasion. So, I've been shopping here and put in an order a few weeks ago...I can't wait for it to get here!! Speaking of Shabby Chic, I think I'll head over here and see what ideas I can borrow from Rachel!